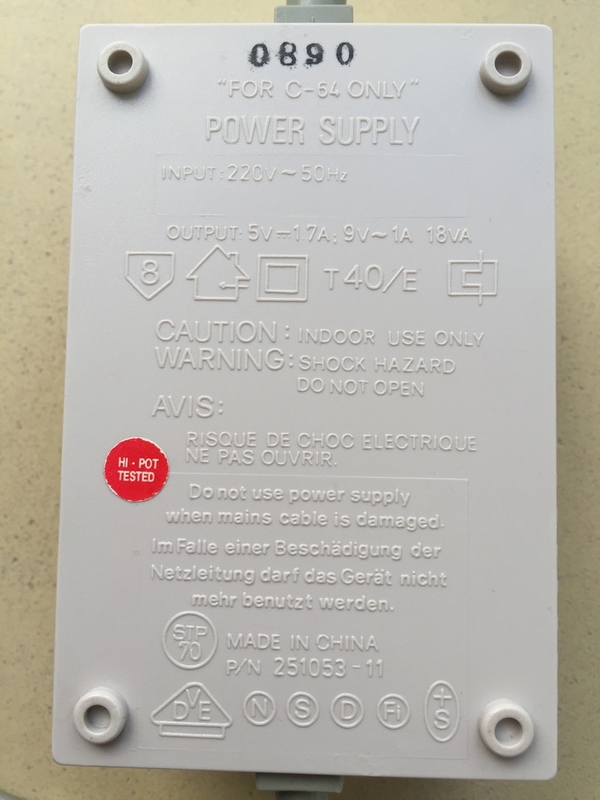 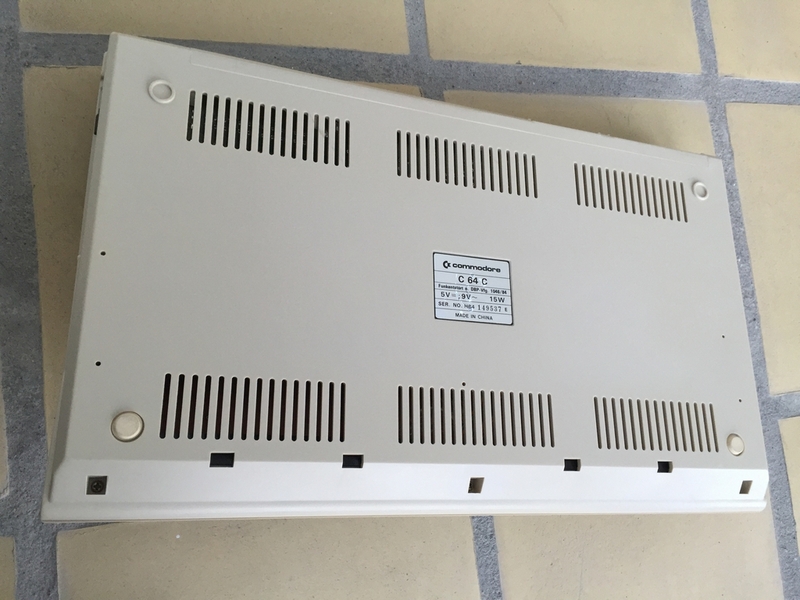 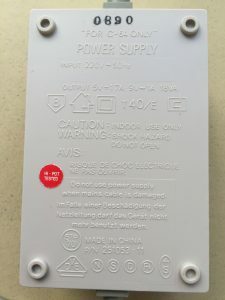 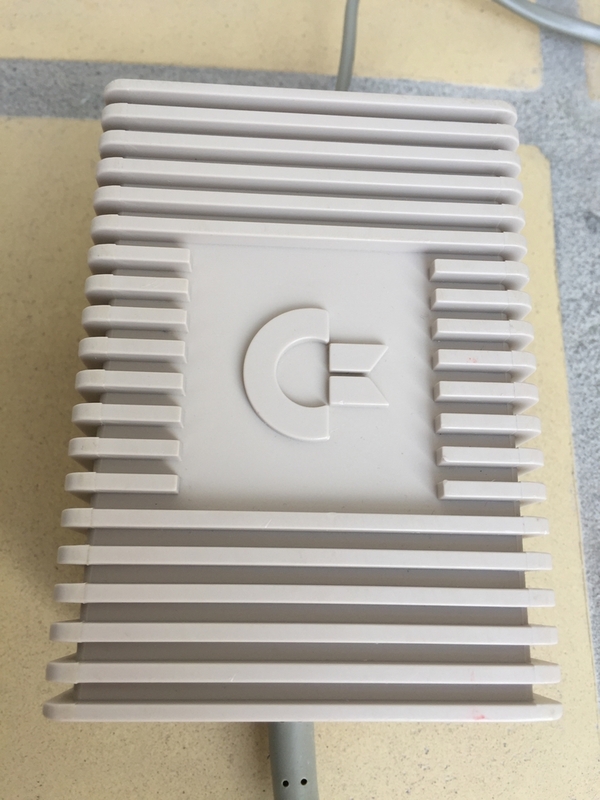 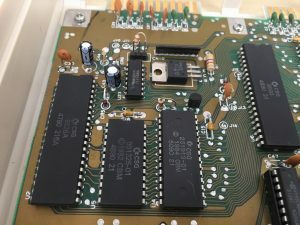 This is a Version E PCB produced from 1987 (known revisions include Rev. 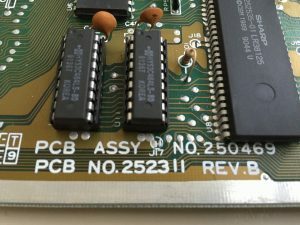 3, Rev.4, Rev. 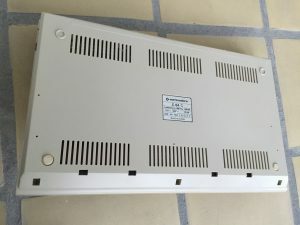 A & Rev. 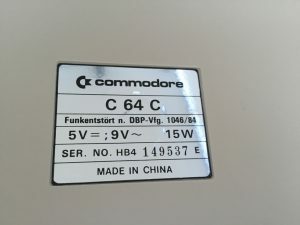 B). These motherboards are also known as the Commodore 64C short boards. 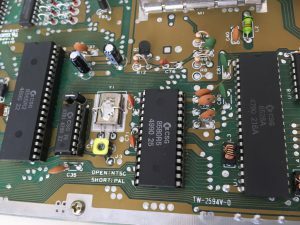 The BASIC and Kernal ICs have been combined in a single ROM at U4. 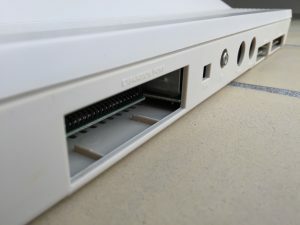 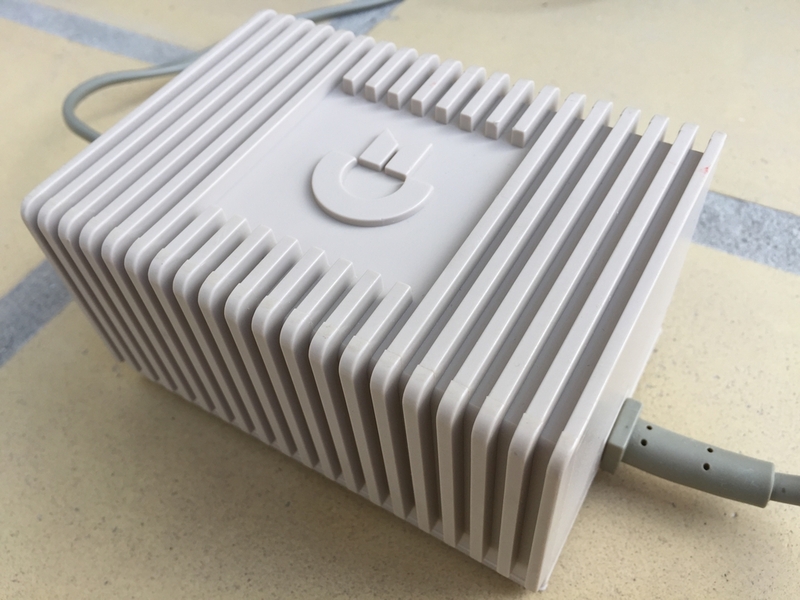 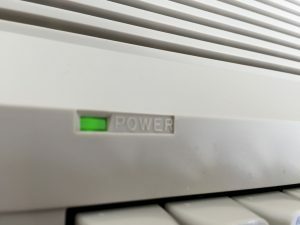 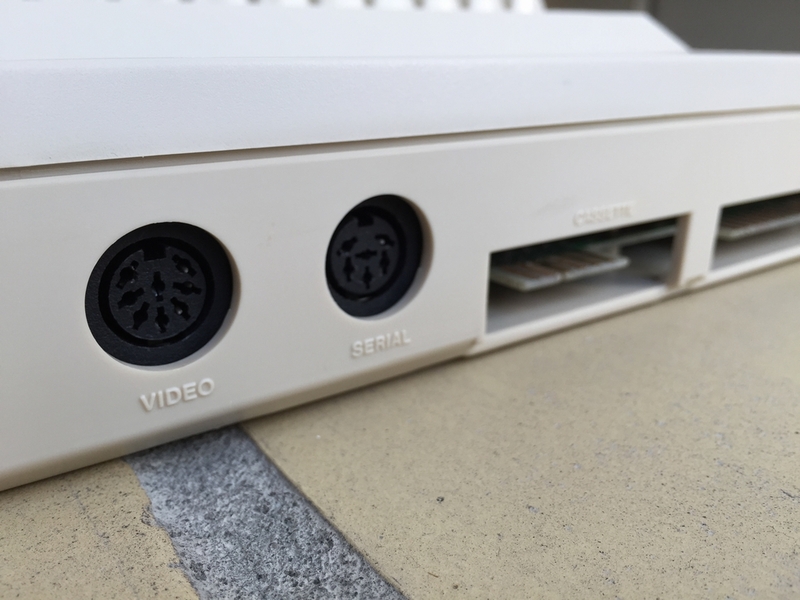 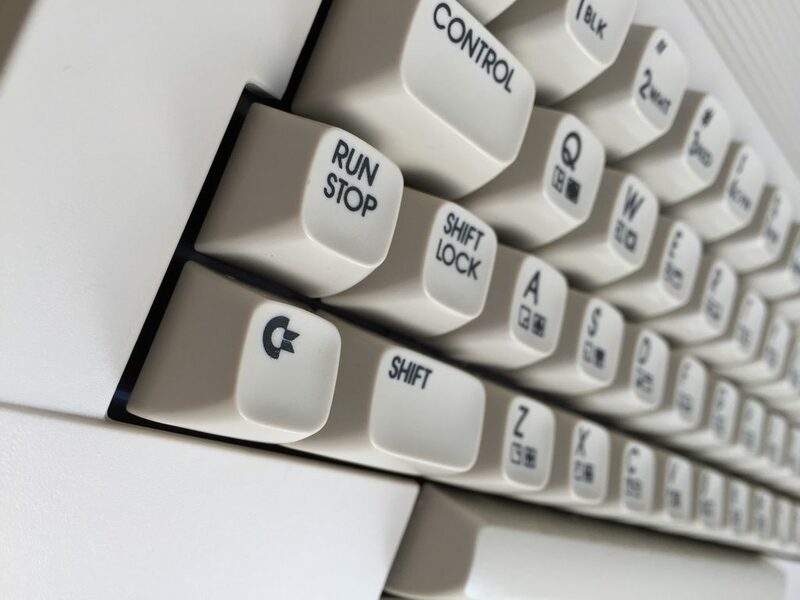 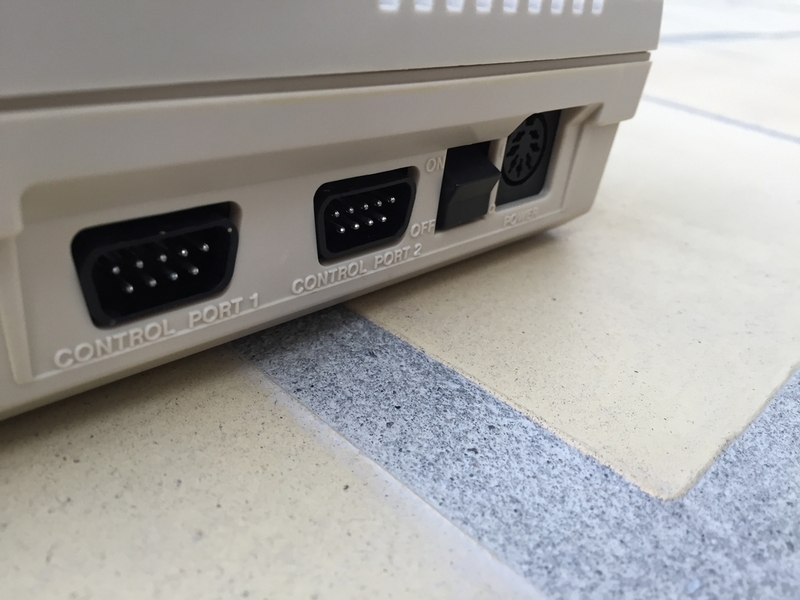 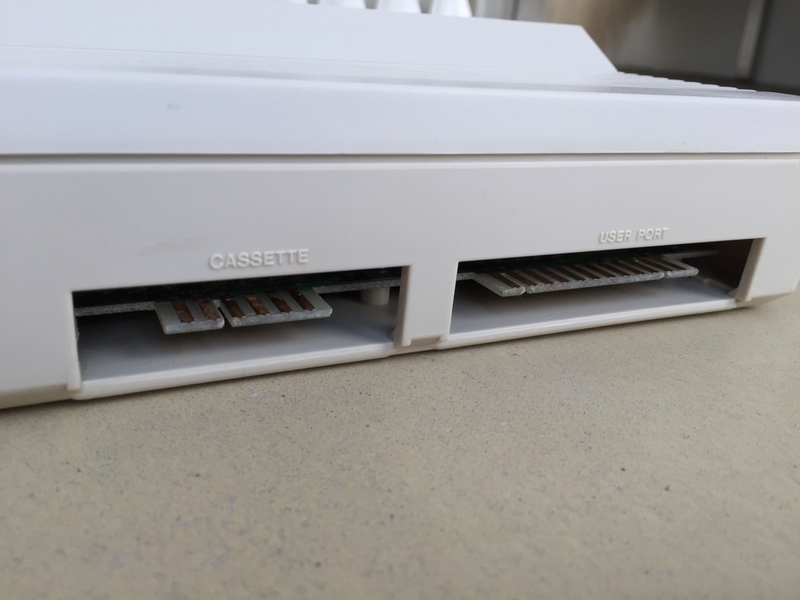 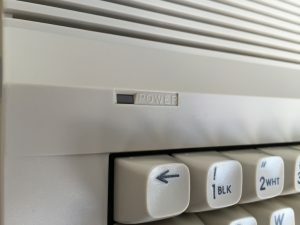 The keyboard connector and CIA #1 (MOS 6526) have changed locations. 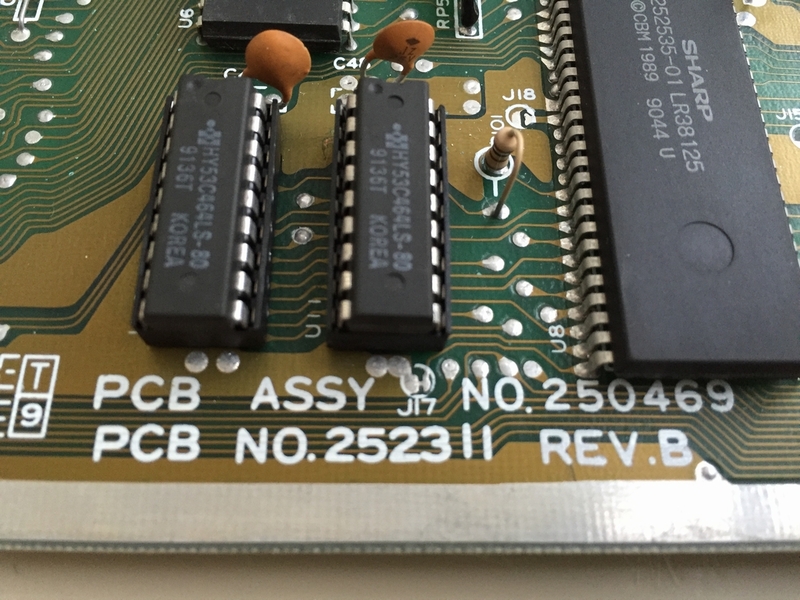 The PLA and various TTL chips have been replaced by a new 64-pin IC. 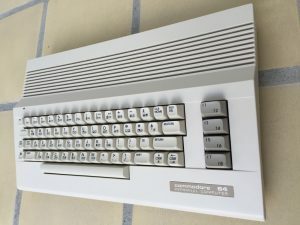 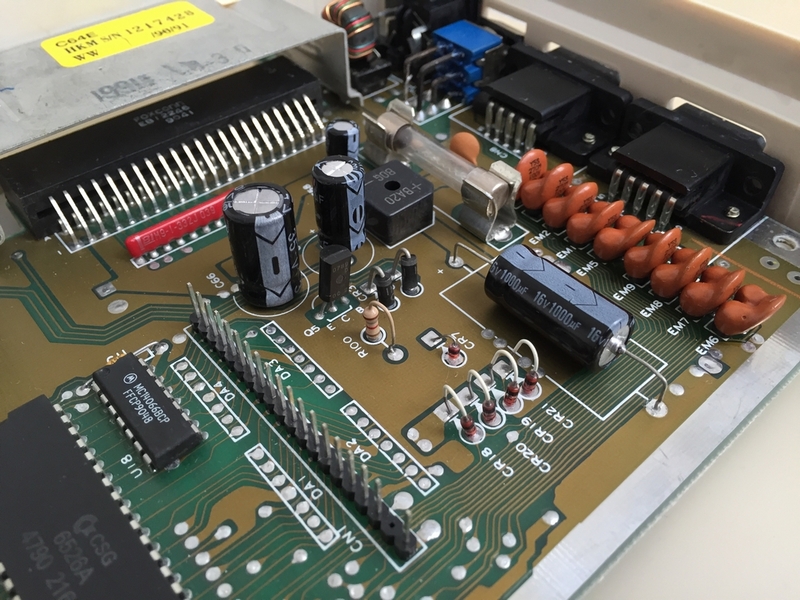 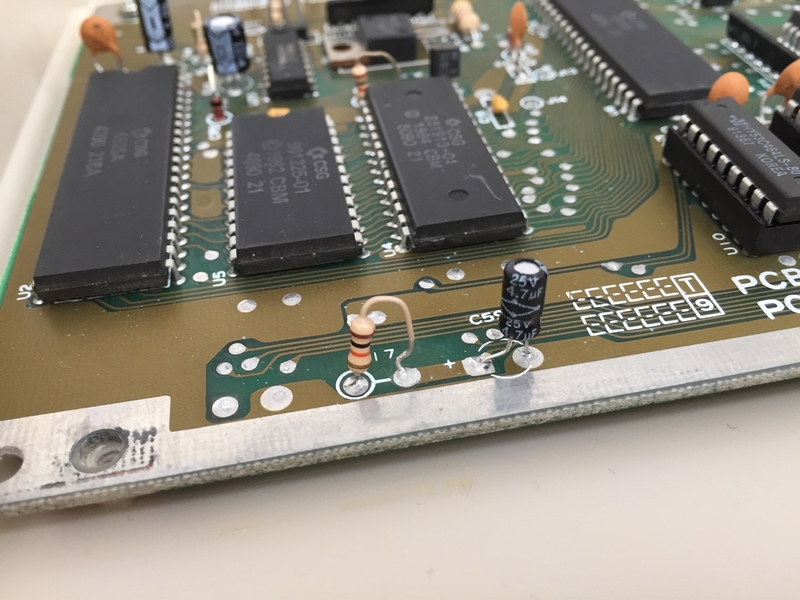 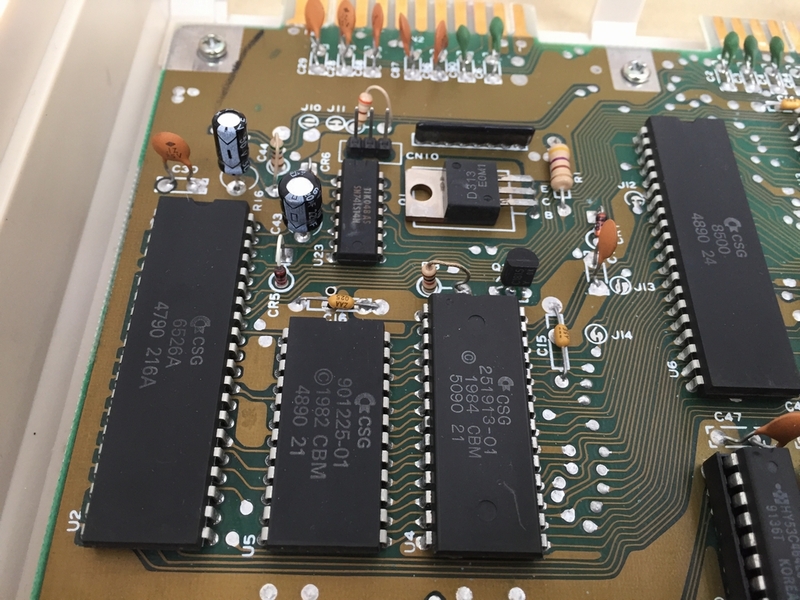 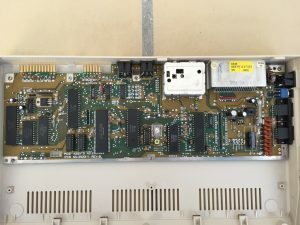 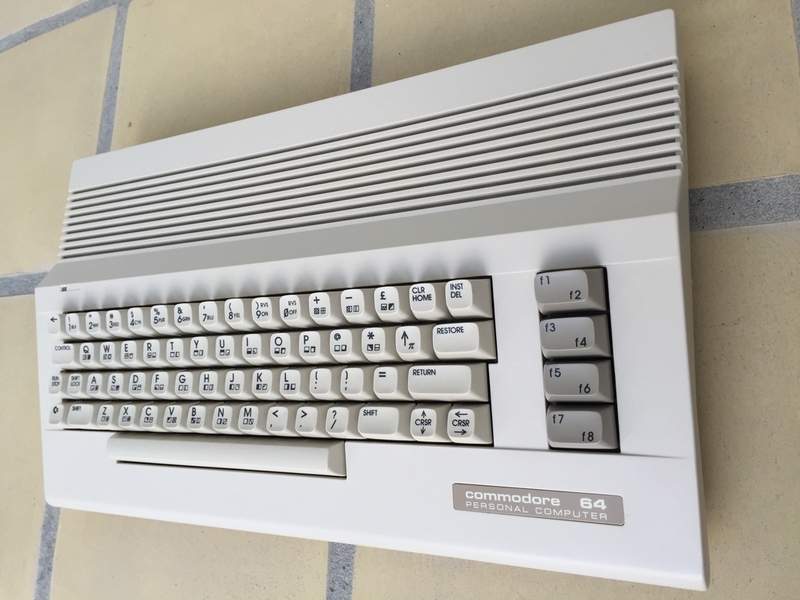 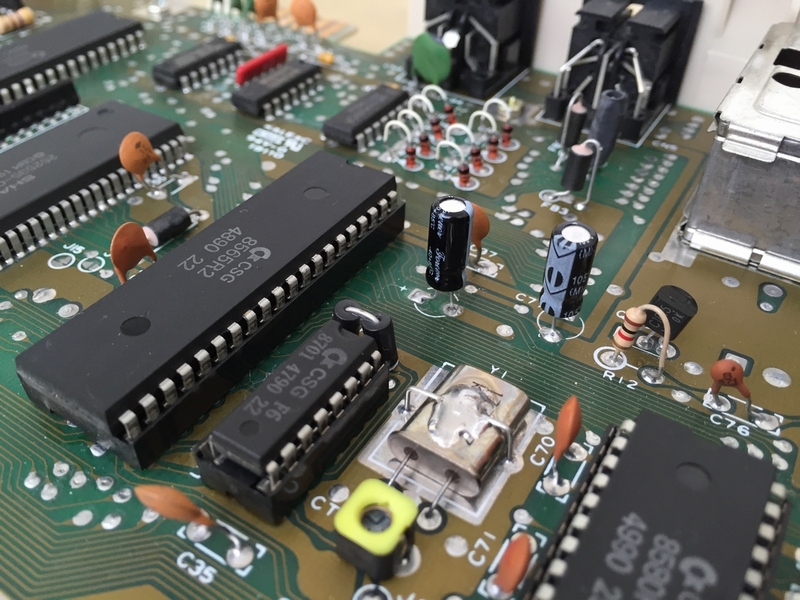 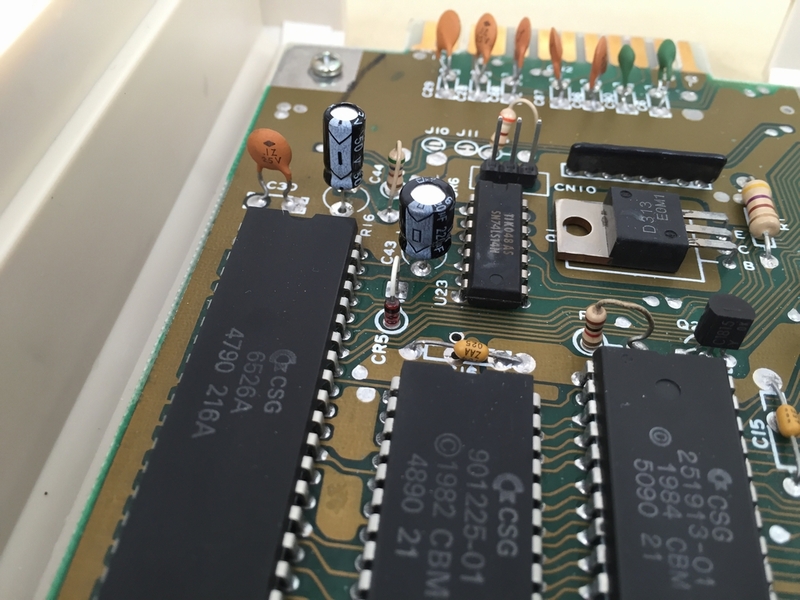 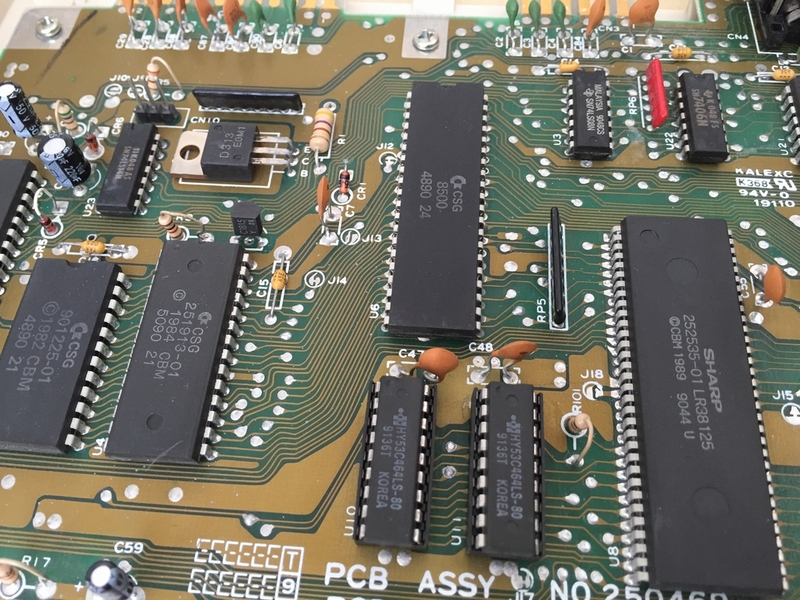 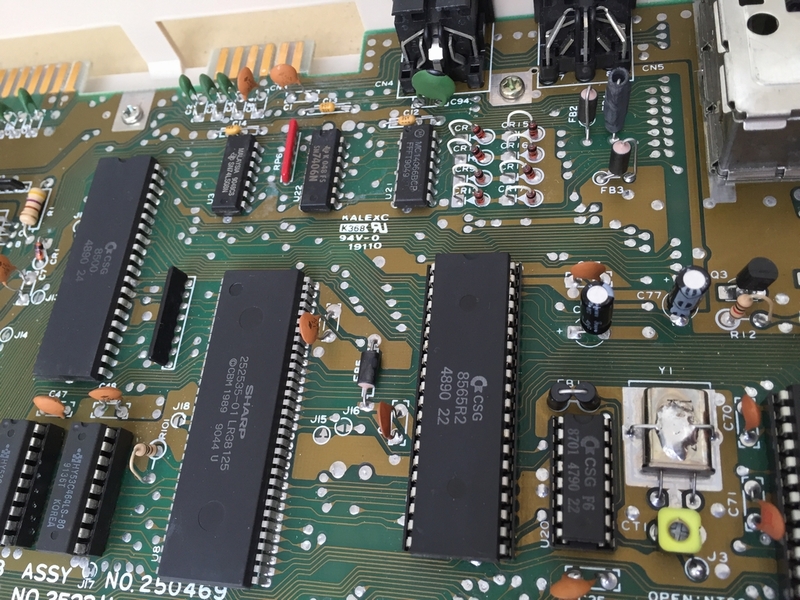 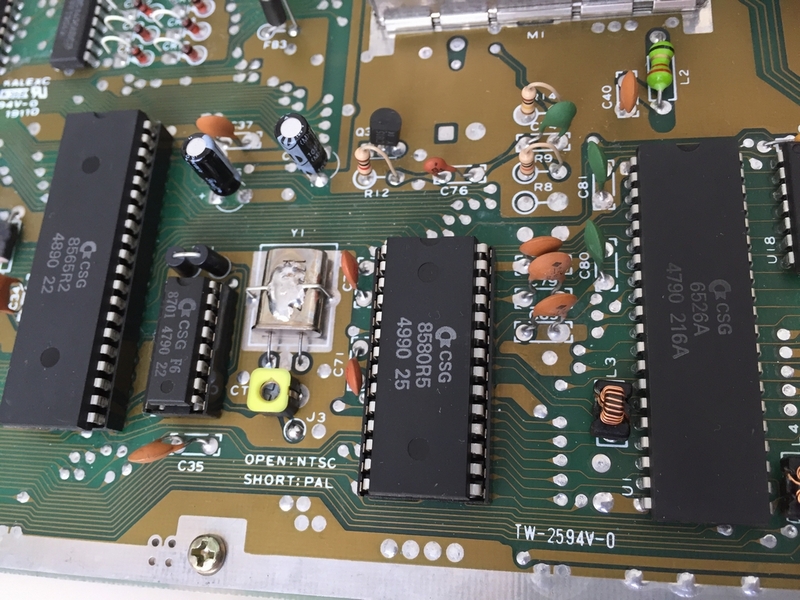 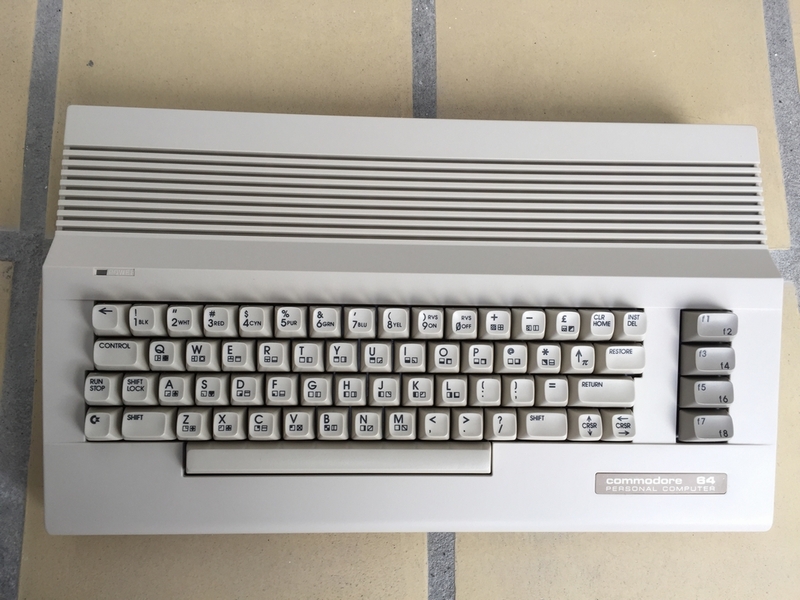 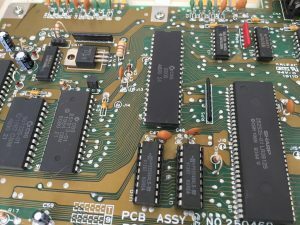 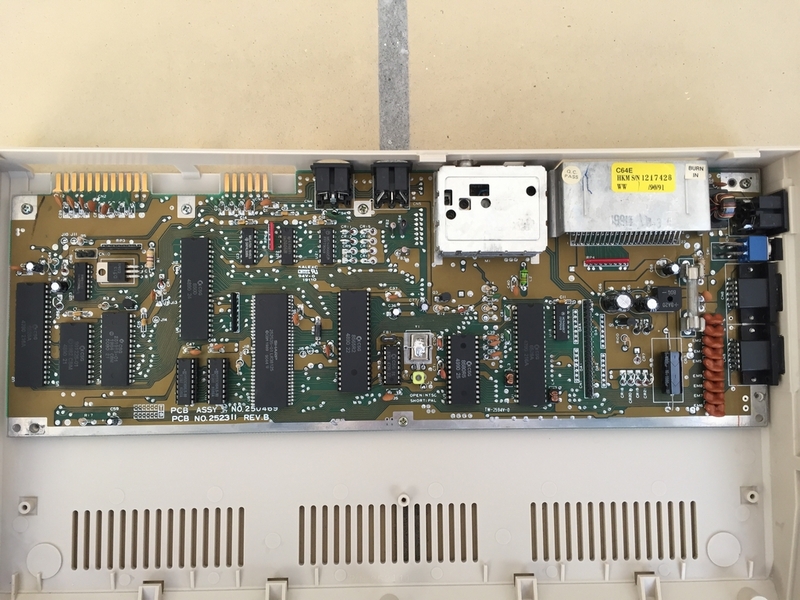 The board revision introduced a new SID chip (MOS 8580) which runs at 9V, and a new VIC-II graphics chip (MOS 8565) running at 5V. 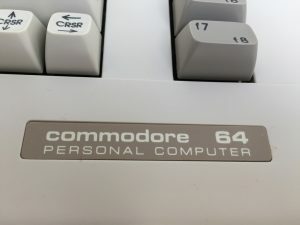 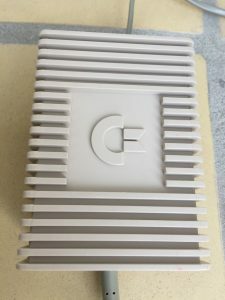 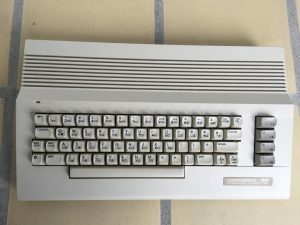 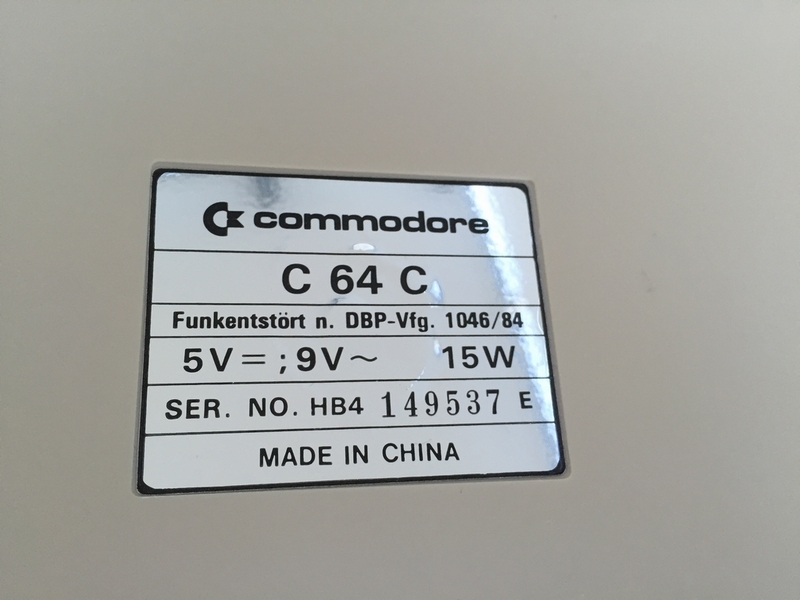 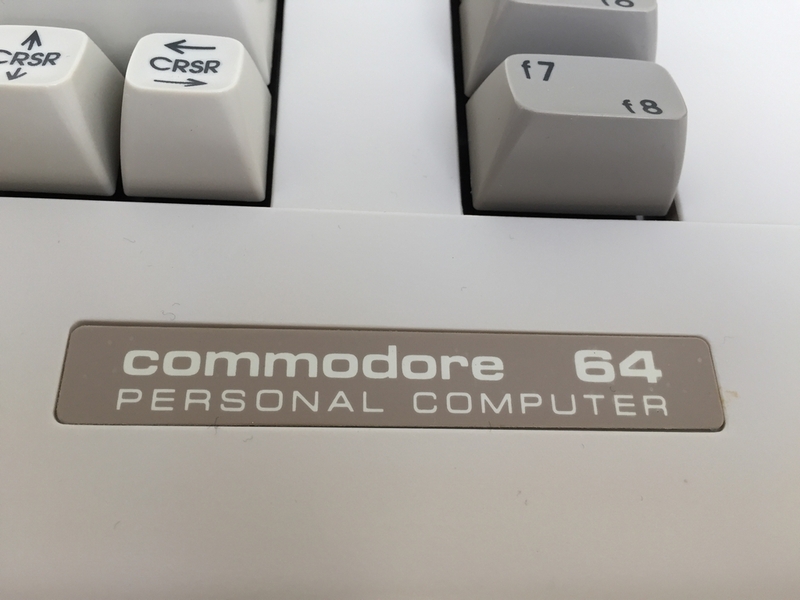 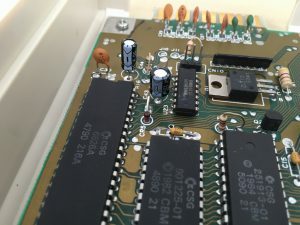 All electrolytic capacitors have been replaced by new ones as described in the C64 Capacitor Mod. 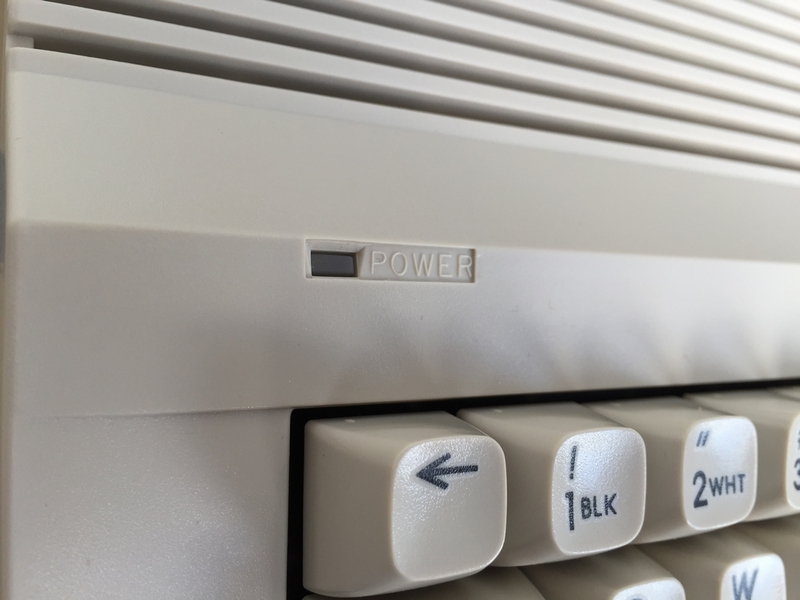 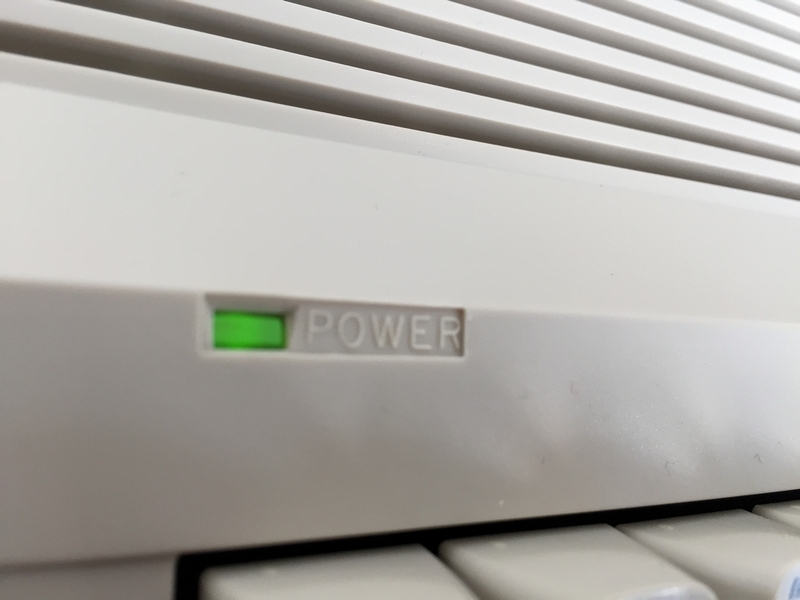 The power supply unit is in really great shape.